Cruise Passenger Magazine’s Adventure Cruise Guide Names the Top Five Remote Island Destinations Accessible Only by Expedition Vessel. Our planet is transforming every day. The climate is changing, forests are vanishing, endangered species disappear daily and the polar ice is melting at an alarming rate. All this could be a good reason to stay at home and lock the door, but adventure and expedition cruisers are travelling like, well, there is no tomorrow. Small ships and expedition vessels, often with less than 100 passengers aboard, transport environmentally sensitive and ecologically aware travellers to some of the world’s most remote and fragile destinations on Earth. Here are five such destinations you can’t fly to or ever hope to visit aboard a 3000-passenger behemoth. Inhabited by around 20 Australian scientists and support staff, Macquarie has only featured as a ‘tourist’ destination since adventure vessels heading to the Antarctic started looking for somewhere to break the many days at sea. Geologically attached to New Zealand, but administered by Australia, it is halfway to Antarctica from Tasmania. 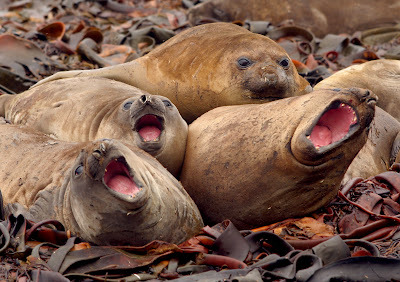 The first residents were seals and penguins who were almost hunted to extinction in the 19th and early 20th Centuries. Replaced by cats, rats and rabbits, man’s influence is slowly being reversed. Apart from the wildlife, Macquarie is famous for its rocks. Geologists will know what an ophiolite is and that Macquarie is the only place to see one. 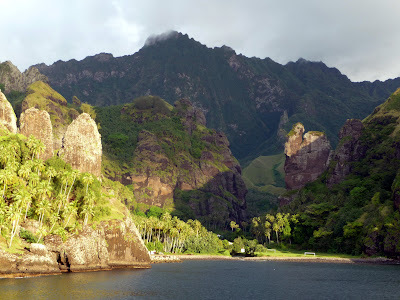 The second most remote archipelago in the world (next to Hawai’i) is the Marquesas. Fatu Hiva is well known as centre for Marquesan arts and crafts, centred around the village of Omoa on the western coast and has one of the largest selections anywhere in the archipelago. Visitors can see men and women demonstrating their crafts including word carving, tapa (bark) cloth making and fabrics. Thor (and Mrs) Heyerdahl spent time in 1937 for the famous book, Fatu Hiva, Back to Nature. Part of a visit can include a challenging hike across the mountain to the delightful little village of Hanavave, possibly one of the most isolated anywhere in the Marquesas. The setting in the picturesque Bay of Virgins is a secret only shared by intrepid yachtsmen. Tiny Espanola was named by the Spanish for, you guessed it, Spain. The British also named it after the famous naval man, Samuel Hood. Tucked away in the far southeast corner of the Galápagos Islands group, its isolation was also its salvation as the more northerly younger islands, were often visited by hungry seamen, pirates and whalers. Home to a wild cornucopia of birds, seals and marine iguanas, it is one of the must-do stops on any Galápagos island itinerary. 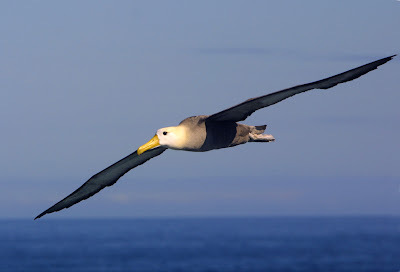 Birders will go crazy for the bizarre ritual of the Blue Footed Booby as well as the majestic, but critically endangered Waved Albatross. The marine iguana, native to the group, has a brightly coloured sub-species endemic to the island. Gardner Bay is the popular landing site and great for diving, snorkelling and swimming. This collapsed volcanic caldera off the northern tip of the Antarctic Peninsula is one of the most talked about islands on any of the southerly itineraries. Dripping in history, wildlife and stunning scenery, the island was home to several countries’ whaling and Antarctic bases until a series of violent eruptions sent them scrambling. After your ship makes the nail-biting entry through Neptune’s Bellows, visitors can stroll around the abandoned base at Whalers Bay or visit the teeming Chinstrap Penguin colony where 200,000 birds all call at once. Sir Hubert Wilkins and pilot, Ben Eielson, set off from the narrow volcanic strip to become the first to fly over Antarctica in December 1928. Their hangar still stands. Any visit to Deception Island must be capped off with a swim in the volcanically heated waters at Pendulum Cove. If it weren’t for some odd blips in history, Beechey Island would still be the infinitesimal featureless, uninhabited satellite of its much larger neighbour, Devon Island in Canada’s Wellington Channel. 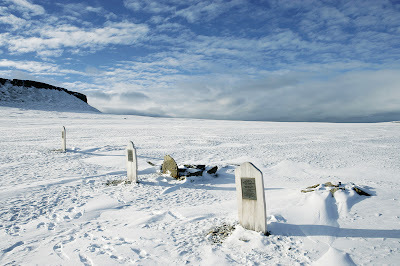 Some time in 1845, the still lost English explorer, Sir John Franklin, stopped to winter in the shelter of Beechey Island. Three of his men remain there, a testament to greater events about to unfold. Now a "site of territorial historical significance", Beechey Island plays host to Arctic expeditioners seeking to recreate Franklin’s historic, if foolhardy, voyage of disappearance. The amazingly preserved body of 21-year-old Petty Officer John Shaw Torrington provided some of the scant clues to the untimely demise of Franklin’s folly. He has since been reburied with his former shipmates. 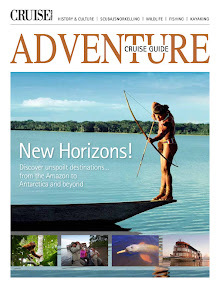 The fourth edition of Cruise Passenger Magazine’s Adventure Cruise Guide contains all the information you need to travel to any of these impossibly remote locations with a comprehensive listing of all major operators. You can also learn what to pack, who is cruising and what adventurous add-ons are available to extend your adventure. High Res images from this article can be downloaded from here. Mandatory credits apply. A journalist, photographer and adventurer for over 30 years, Rod has developed a specialty for small ship and expedition cruising in remote locations. He has covered vessels all around the world including both polar regions and many rivers. He is also an experienced scuba diver and also enjoys telling the stories and history behind his travels. See his blogs at Expedition Cruising and Guide to Small Ship and Adventure Cruising.